If you want to develop your faith as a Christian, then you must set aside time for prayer and reading the Bible. Yet, so few of us do so! You must ask the question, what gets in the way of my time with God? How much does TV, over working, or hanging with friends take of you and your time? Why use this and pay $ when we have free ones below? The Bible reading plans that exist, including ours, are all "static" using paper and pencil with no analysis or progress updates. Thus, no accountability or checklist or encouragement to keep you reading and growing in our Lord. With this Excel Bible Plan, you have a cool tool that will help you further your faith and continue the discipline of reading God's most precious word. Our first and perhaps best Bible Reading Chart! With this Bible Reading guide, you can go though God's entire Word verse by verse and Book by Book in one year. You also may start this plan any time or date and progress at your pace too. Literature Style, This is our most popular Bible plan! Here is a plan that is set up for you to go through the whole Bible in a year but with a twist; it divides up your reading into the main types of Genres (literature) such as Gospels, Law, Narrative (History), Psalms, Poetry, Prophecy, and Epistles! That way, you can go though the entire Bible by reading the different types of writings. This is a unique plan that will help keep your pace up and prevent you from losing interest and giving up! These adventures in Bible literacy are designed to help get you started. These are excellent for new Christians, students, youth, and people on the go. A 31 Day Encounter with Jesus. This is an excellent plan to start out with, or use to refresh yourself in Him. In just a few minutes a day for a month, you will be stronger in your faith and knowledge of our Lord and Savior Jesus Christ! This reading plan takes you through the New Testament in just three months. If you do this plan for a year, you will know our Lord and His precepts so much more than before! This is an easy to use program that helps us to know Christ more. All that it takes is few minutes a day for three months; and you will be stronger in your faith and knowledge of God's Word! This is a great summer plan to brush up on your Bible Literacy! And....Get to Know God's Word! Here is your chance to read through the New Testament this summer! Just mark your progress and go at your own pace! If you just read a chapter in Proverbs every day for a month, which will only take a few minutes, you will grow so much more in your faith and knowledge! 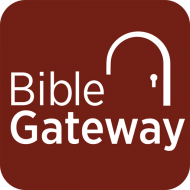 Read through the BIBLE in one year with our new, better formatted reading guide! This is a condensed Bible reading chart to place in your Bible. If you are new to daily devotions or reading the Bible or have been away from it for a while, we recommend you use the New Living Translation from Tyndale House Publishers, for your devotional reading. Even seasoned Bible expositors enjoy this translation for their reading! And for serious Bible study, we recommend the English Standard Version, or the New International Version, the New King James, or the New American Standard Bibles. Here you can keep a log of what and how much of the Bible you have read! As you go through God's Word, you can record your Bible reading progress! You can also start at any time of the year, with any book, as you are not obligated to dates or sequence. 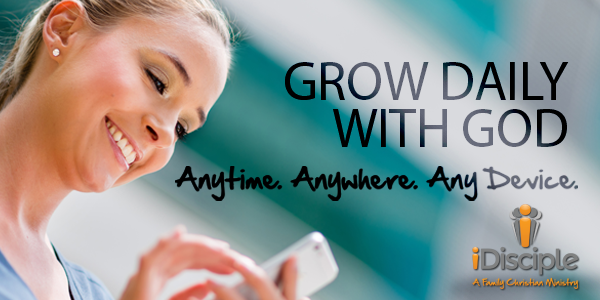 You can also go at your own pace; pickup and start anywhere! Read through the Bible weekly. This plan is designed to be more flexible for you. So instead of having an assigned daily reading, you have your reading for the entire week. That way, you can fit it into your busy schedule, as sometimes we have more time on one day than we do another. Reading the Bible through in a year takes less time than you would spend watching one half-hour sitcom of TV each day or playing a half dozen songs on your MP3 player. You can read the entire Bible in a year in about 20 minutes a day! Is a little TV more important than God in your life? How much of your life will the One who created and saved you get? These plans are designed for those who seek deeper meanings and insights into God Word, or would like a change from the traditional Bible reading logs and charts. This Bible plan is designed to help you not get bored or give up! 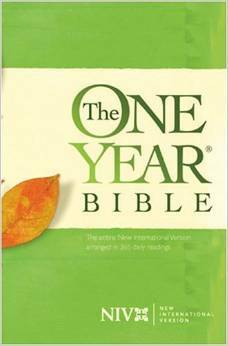 Read the Bible in a Year is a plan to guide your daily Bible reading. Its design allows you to pace yourself and to begin reading at any point of the year (not just January 1st). The more you read the Bible, the more you know about God, life, and how to better lead your life! Welcome to a journey, a trip through the most famous and well-read book of all - The Bible. You have opted to follow a chronological order, which is worked out in date order, as the books were written. While this list isn't guaranteed to be exact, many theologians have agreed on this order. Read the events of the Bible as they occurred chronologically. For example, the Book of Job is integrated with Genesis because Job lived before Abraham. This plan will take you through the entire Bible in an historical linear timeline order with the first events first to the last. Each line represents a day's reading, and you may progress as you do your devotions in any order you would like. This list will take one year if each line is read each day. If you read more on one day and less on another, you can still track your progress. This Large print guide is designed to be easier to see and read. This reading plan is also more flexible for you. You have your schedule for the entire week to go at your own pace. The Bible is the most important and essential book in history because it is God's Word and His revelation of Himself, His precepts, and His purpose for our lives. As a Christian, you cannot and must not function without it! Here is a Bible reading guide to help you discover the Bible's full message in a good, systematic way. With this plan, you can read the entire Bible, all 66 books, the entire Old Testament once and the New Testament twice in one year! An average reader can do this in less than a half an hour each day, with most doing it in 20 minutes. This is a similar plan as the "One Year Bible" by Tyndale, which we also highly recommend. TIP: To help you stay on schedule, consider enhancing your Bible reading by listening to the Bible being read on cassette, CD, or MP3 as you daily drive in your car, exercise, or work around the house. You can purchase this, borrow it from a library, or record it for yourself into a tape recorder! For a print friendly version, when you are at the article or plan, just click on "Printer Friendly Version" on the bottom of the Left Hand template bar. The more you expose yourself to the Bible, the more God will expose Himself to you! Our first and perhaps best Bible Reading Plan! Our Bible Plans in Document form, many on just one printable page! 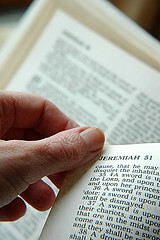 Bible Reading Plan featuring a daily schedule to help you to read through the Bible with ease. New Testament Bible Reading Plan! Bible plans in on just one printable page! A Bible reading checklist in "Excel" that keeps track of your progress with all kinds of graphs and tracking features. Bible Illiteracy is a Big Problem! Many Christians, even pastors and church leaders, find themselves shortchanged when it comes to knowing what God is saying to them. These Bible plans are designed to help you through the Bible in the easiest way possible, while still getting through it all! The One Year Bible for Kids : Greatest..